Win Skottie Young Signed Comics! 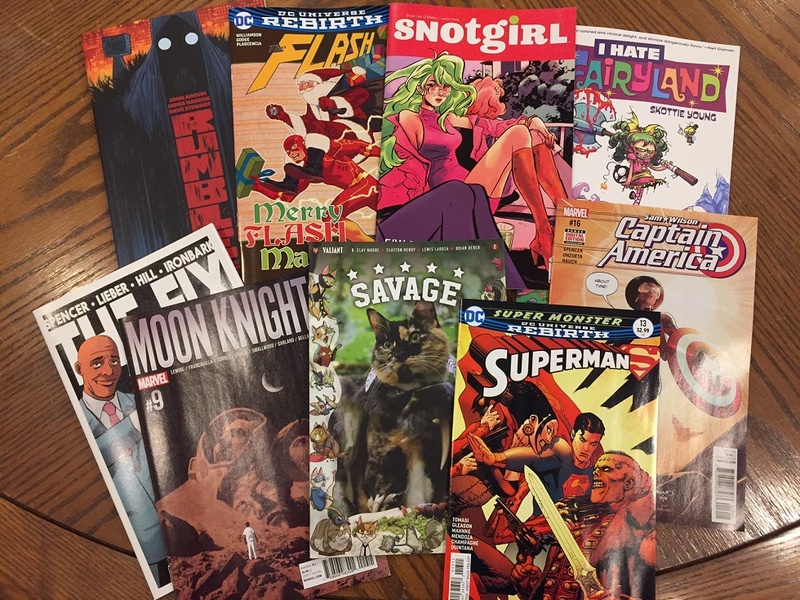 Midtown Comics has created three new contests for you to enter! 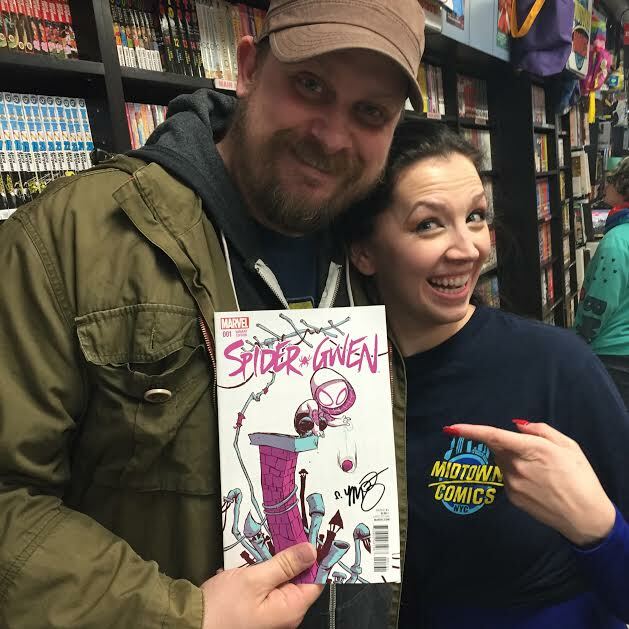 This time, we’re giving away signed copies of Spider-Gwen#1, Darth Vader #1, and Princess Leia #1, all by Skottie Young! These contests will last from 04/09/15 – 04/27/15. You can submit multiple entries by Liking our page on Facebook, Following us on Twitter, and Tweeting at us daily about the contest. It’s not everyday that Marvel does an event as important as the upcoming Avengers vs. X-Men, and its even more rare for a cover to come along that is so good, so fun, and so irresistible you just can’t say no to it. We’re speaking of course of our AMAZING Midtown Comics Exclusive Skottie Young cover to Avengers vs. X-Men #1. Avengers Babies vs. X-Babies! It doesn’t get any better than that! 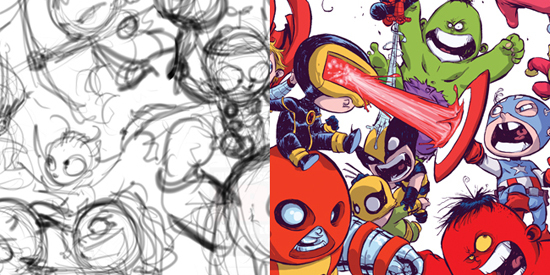 We’re also very happy to give you an exclusive look at the process that such a huge talent such as Skottie Young goes through to bring us this beautiful cover. Click through to see a behind the scenes look at it’s creation! The exclusive variant is available now at the special pre-order price of $8.00 (price is subject to change upon release)!